We dont need to write much about friendship , real friends stays forever in our life, we share all the moments with them. But what can be better in life than seeing your friend successfully open the new shop in Geneva, FARGANCE, by Christelle Rolland. 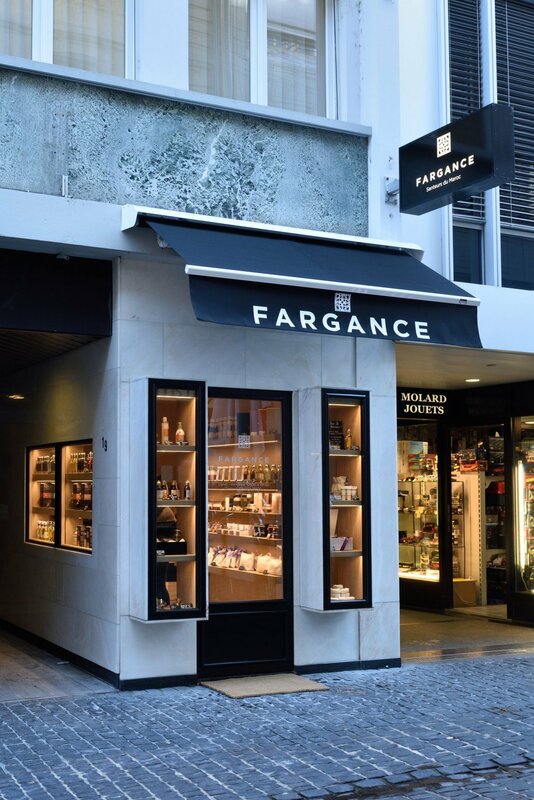 FARGANCE has been opened in July 2015 in Geneva, with exclusivity in Switzerland to sell the products LES SENS De Marrakech known as a professional products using at the SPA and Hotels. French establishment in Morocco, Les Sens de Marrakech was founded in 2003. Argan oil and prickly pear seed oil are the main ingredients in the product mix. 90% of products Les Sens de Marrakech Contain argan oil. Particular care has been taken in the packaging of products that are made ​​one by one by Moroccan artisans. Research, development and manufacture are Conducted in Marrakech. Les Sens de Marrakech performs all tests and is a partner in one of the best laboratories French control. The products are not tested on animals, They Are dermatologically tested, the main ingredients are listed in Percentages. 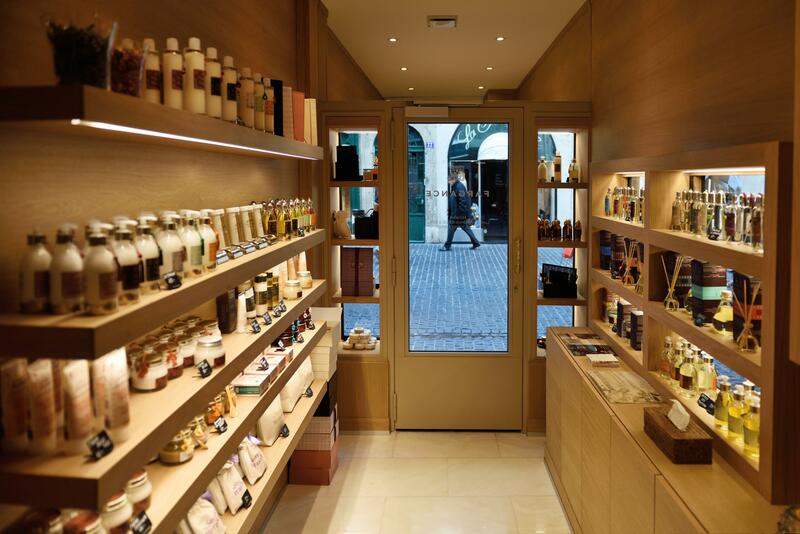 FARGANCE (les Sens ) specialist in pure natural beauty products from Morocco, is delighted to announce its success at this year of exclusive shop is based at the centre of Geneva 19 RUE Neuve-du-Molard. We all searching for Bio natural products , and now thanks to FARGANCE shop we can have it in Geneva. Marocco is well known destination for the SPA, where with amazing products we can recharge ourselves . New Natural Beauty & Spa Product Award is from Marrakech with its Moroccan Rose Nourishing Body Argan Oil , runners up to Pukka Herbs , Nourishing Brightener. A fusion of Pure Organic Argan Oil and Pure Moroccan Rose Essential Oil, Essence of Morocco 100% pure, natural and organic Moroccan Rose Nourishing Body Argan Oil, is the perfect product to help you achieve the wellness of body and mind. Moroccan Rose, known for its uplifting, stress relieving and soothing properties, is one of the most expensive and sought after Essential Oils in the world and has a delicate, exquisite and sensual aroma. Extracted from the finest quality, non-toasted kernels of the Moroccan Argan tree, Essence of Morocco Argan Oil is one of healthiest, anti-ageing and nourishing natural skincare products. It is rich in Vitamin E, Omega 3, 6 and 9 and squalene (a natural moisturiser). Argan Oil nourishes, hydrates and protects the skin, slowing down skin ageing. It neutralises free radicals, improves skin elasticity and minimises the appearance of fine lines and scars. It stimulates hair growth and prevents and mends split ends, whilst giving the hair a silky glossy look, without frizz. It has anti-inflammatory properties and can help with Psoriasis, Eczema and Arthritis. Both Argan Oil and Moroccan Rose have been used by Moroccan women for centuries for their unique skincare and healing properties. FARGANCE carries a lot of products with Moroccan Rose Nourishing Body Argan Oil is non-greasy and absorbs easily in the skin leaving a delicate, irresistible sensual aroma that transports you back to the valley of the roses in the foothills of the Atlas Mountains. It is best applied after a bath or shower on slightly damp skin. The skin is left feeling nourished, hydrated, smooth and silky. It is also perfect for a luxurious, soothing and relaxing organic massage experience. Les Sens de Marrakech privileges the ingredients of natural and local origin. Clinical tests are realized on several products of face and body (french clinical test). Clinical tests ensure safety use and transparency. Paraben-free, phtalate-free, phenoxyethanol-free, dye-free, mineral oi-free. For further details and information on Essence of Morocco products, including products go and check at FARGANCE shop where you can escape to this face and body products the exotic aromas and natural ingredients engage your senses to treat yourself at home. Congratulations to Christelle Rolland and thank you for giving us the opportunity to make the best retreatments with a products Les Sens de Marrakech without going to Marrocco !! !